Always wanted to participate in the Friday Night Skate Amsterdam, but is braking hard for you? Finally, learn how to brake well during an inline skate workshop! 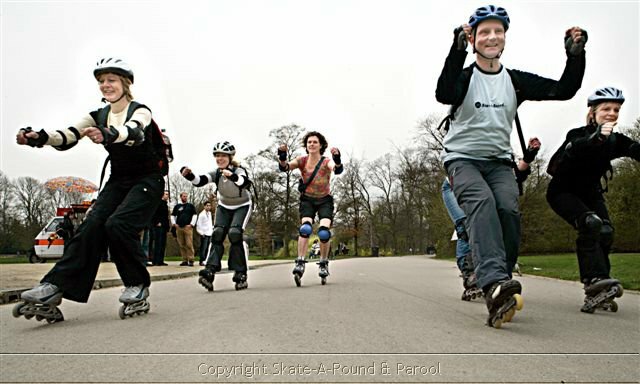 Reserve a private inline skating lesson with Skate-A-Round in Amsterdam Vondelpark or Oosterpark. The Vondelpark is traditionally the hotspot for inline skating. However, the Oosterpark has a great new surface, so we do both now: Vondelpark & Oosterpark. Oosterpark has the newest surface. It is not even finished yet for the full 100%, but that is no problem for the skate workshop. Your skate teacher Lex van Buuren is the owner of the inline skate brand “Skate-A-Round“, certified IISA Skate Teacher, administrator of Facebook group “Skateclub Amsterdam” and has been volunteer of Friday Night Skate Amsterdam since 1998. 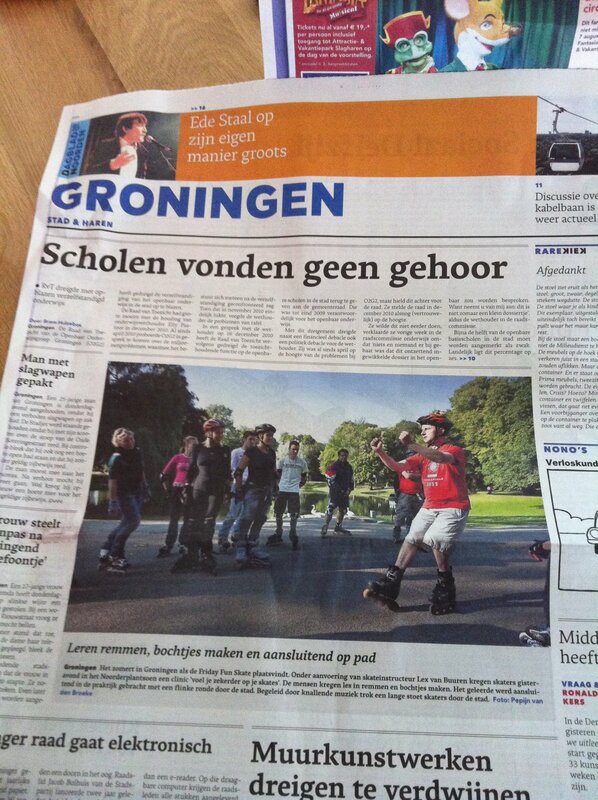 He has been teaching inline skating in Paris, London, The French Riviera, New York, Barcelona, Groningen, Texel and of course in Amsterdam. Bring your own skates and protection! (If you don’t have your own skates you can rent them with “Skatedokter”.). The emphasis during the inline skate workshop will be on the heelstop. And on fear reduction. In case of rain or wet surface we cancel the rollerblade lesson 1-2 hours before the start. Protection is mandatory. Participation at your own risk. How much does the inline skate workshop cost? With more persons the total price will be an additional EUR 7,50 per person more.